INMARSAT - international satellite communications company, founded in 1979, originally as an intergovernmental organization. He manages a team of 11 geosynchronous (GEO) communications satellites. The company's shares are traded on the London Stock Exchange (ISAT). Available services include both conventional telephone and data transmission, as well as the transmission of distress calls. Communication is performed by using special digital transmitters, called terminals. The signal is transmitted to one of the satellites and then relayed to a ground station. This ensures reliable communication in remote areas. Telecommunications Services Company in 2012 used the Russian Navy in connection with the failure of their own channels of communication. Satellite constellation consists of 11 satellites. Currently, the bulk of the data stream is processed by the third generation of satellites (5 satellites), running in 1996-1998. They are gradually being replaced by the fourth generation satellites; launched four satellites (Inmarsat-4), two in 2005 and one in 2008, and fourth in 2009. Phone code 870 - the general, it is used when it is not known through a satellite to make calls. However SNAC does not support calls to Inmarsat-A terminals. The remaining four codes belong to regions served by a particular satellite, as a rule, one at each satellite, usually referred to as "ocean regions". 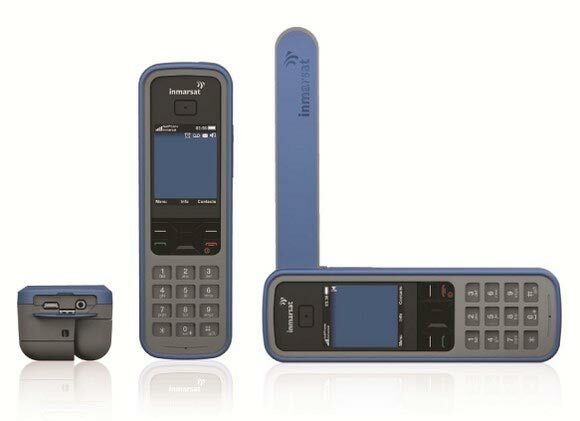 Inmarsat-C: Use of the International Maritime Organization and required to be installed on all ocean-going ships. 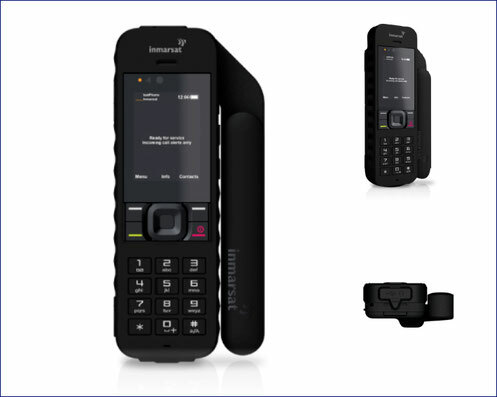 Inmarsat-M: Provides voice services at speeds of 4.8 kbit / s service for fax and data transmission at speeds of 2.4 kbit / s. It is the predecessor of Inmarsat Mini-M.
Inmarsat-Mini-M: Provides voice services at speeds of 4.8 kbit / s service for fax and data transmission at speeds of 2.4 kbit / s.
Inmarsat-BGAN: Broadband Global Network (. English Broadband Global Area Network) provides new satellites fourth generation (I-4), offering a shared packet IP-channel with access speeds of up to 492 kbit / s (the speed can be different, depending on terminal model) or IP-channel streaming at a speed of 32 to 256 kbit / s (it depends also on the terminal model). Some terminals also provide mobile services ISDN 64 kbit / s, or even a low-speed (4.8 kbit / s) voice service. Currently, BGAN-service is available in the Indian Ocean Region (IOR) and the Atlantic Ocean Region (AOR). Starting the service in the Pacific Region (POR) is planned for 2007.